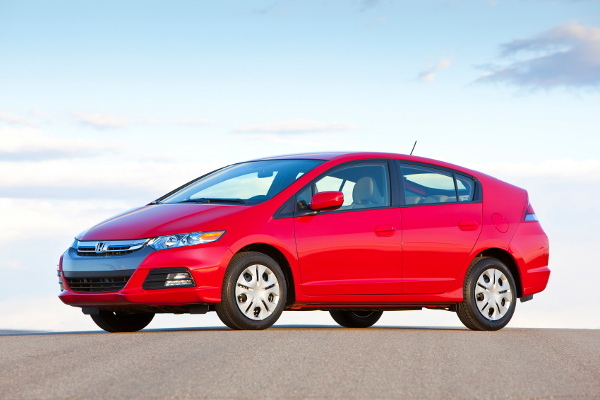 Honda has announced 2014 will be the last year of the Insight – or at least the last year of this generation of the Insight. I’ve always liked the Insight. While it never hit the 50 mile per gallon mark like the Prius, it was considerably cheaper. Also, if you lived in the northern half of the country, the Insight wasn’t a bad buy. Why? Because the Insight doesn’t rely on battery power as much as the Prius. While in the summer the Prius was a clear winner, in the winter – at least in my experience – the Insight’s mileage didn’t drop as much as the Prius. Last of all, I just found the Insight to be a more attractive vehicle. Honda’s hybrid product direction in the U.S. will move forward with greater focus on expanded application of the innovative two-motor hybrid system. The two-motor system was introduced on the 2014 Accord Plug-In Hybrid and powers the EPA-rated 50 mpg city Accord Hybrid, which is the most fuel-efficient rating for a 5-passenger sedan in America. My guess is we haven’t seen the last of the Insight. I suspect in a year or two a third generation Insight will be available. At least, I hope so.